Farmers markets are making a come back. A great way to spend a weekend morning is to stroll through the stands, admire the fresh offerings, and get inspired to try something new. 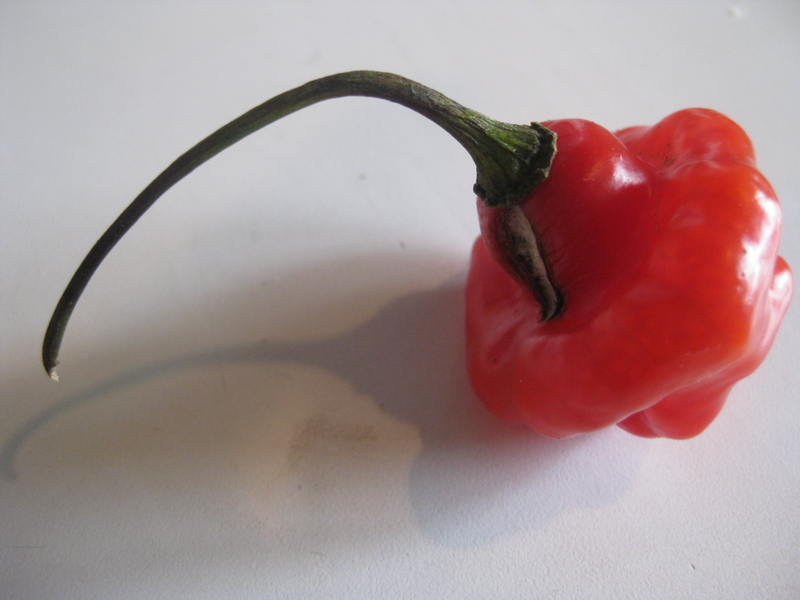 There are a couple of markets in my area, but my favorite CSA provider is Calvert Farms in Maryland ( http://www.calvertfarm.com/fallcsa_app.htm – Calvert hosts a market at ﻿Getty Park in Silver Spring, MD, every Saturday from 9 to 12 a.m.). The quality is undeniable but what’s really inspiring are some of the quirky selections that can take you in a whole new direction. 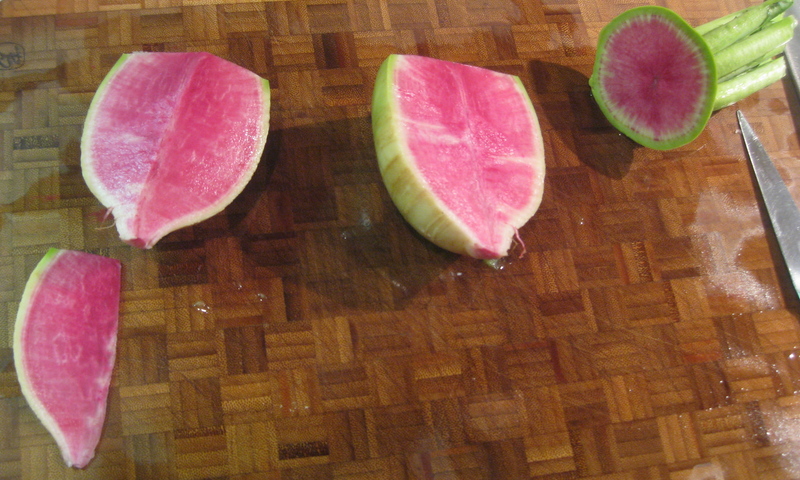 Two recent gems are fractal cauliflower and watermelon radish. 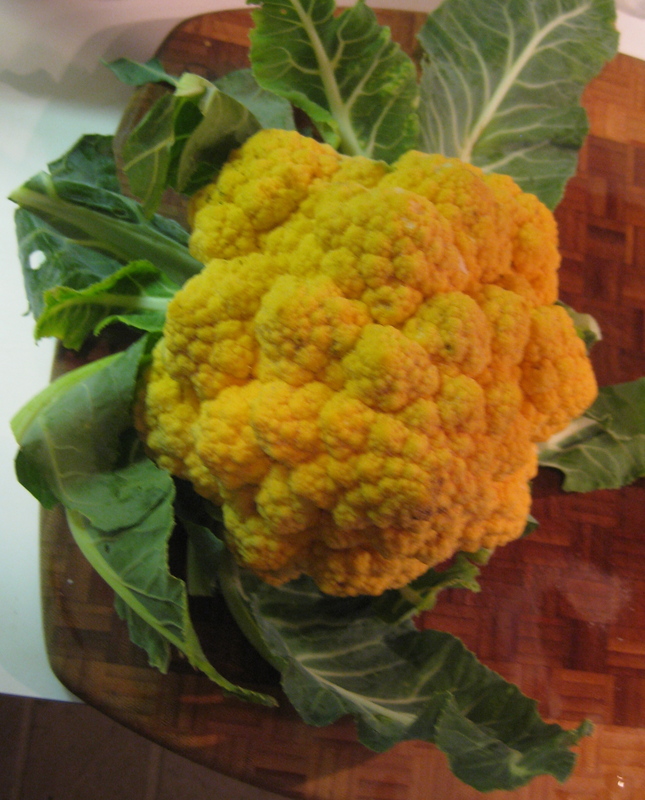 fractal cauliflower. they can grow in several colors. & the taste? dios mio! I’ve had a lot of fun with both.